(and unlimited replays) direct from our indoor arenas, using a selection of real riders and horses, showing you how to get higher marks and better competition results. 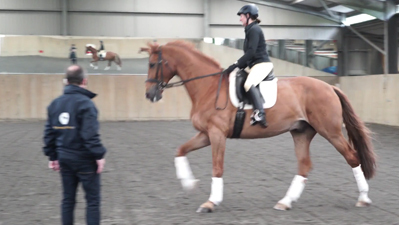 Taught by Peter Dove, bringing to life his book Master Dressage. Movements covered in the course are from Intro Level to Elementary Level (British Dressage) or Intro to Level 2 (USA Levels). Many riders lose marks dues to inaccuracy. Badly ridden circles, centre lines, corners, turns and loops lose marks in a variety of ways. Marks lost can be in the form of accuracy, suppleness, balance and rider marks. In this session we continue the theme of accuracy so you can improve balance and consistency both in training and in tests. You can only improve balance and accuracy by being more balanced and accurate! Here we explain how. A good test flows and the horse moves fluidly from one movement to the next. 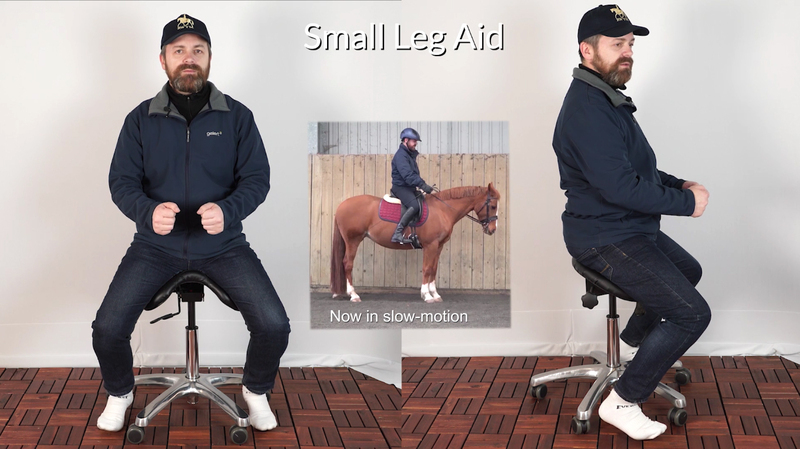 The transitions are smooth and the rider places the horses body correctly for each of the movements. Learn how to flow movements together and learn even more about accuracy. How do we go about training the horse for best performance? How do we practice? How do we solve typical problems? What does a training session look like? All of these will be explained in session 5. Does your horse get nervous in competition? Do you get nervous? How can you structure your warm up to best suit your horse? Hear how top riders approach competition. Demelza Hawes, one of the coaches on Dressage Training TV, is our advanced rider and demonstrates on her PSG horses Fry and Diva. Milly Dove, Peter's daughter, is our prelim/ novice level rider and demonstrates on Tinker. Up to 5 hours of new video every month – with more and more videos and courses being added all the time. Groundwork Certification Programme with Certificates & Badges. 15% Discount – a members only discount on riding products in our shop.